The mission of the Genome Center is to facilitate your “omics” research at UC Davis. 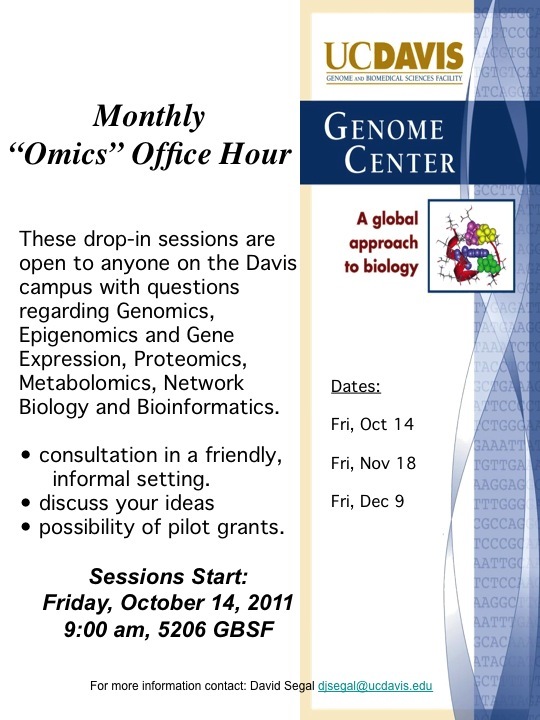 Genome Center staff and faculty will be on hand for consultation in a friendly, informal setting. If you have ideas that you would like to explore, we would be happy to discuss it as well as the possibility of pilot grants.